The fact that I can go to the garden and pick some fruits and eat them straight off the plant overwhelms me with a sense of pure and utter joy. Some of these fruits include my Blackberries. These blackberries were planted last year and have grown from 1 year old canes. 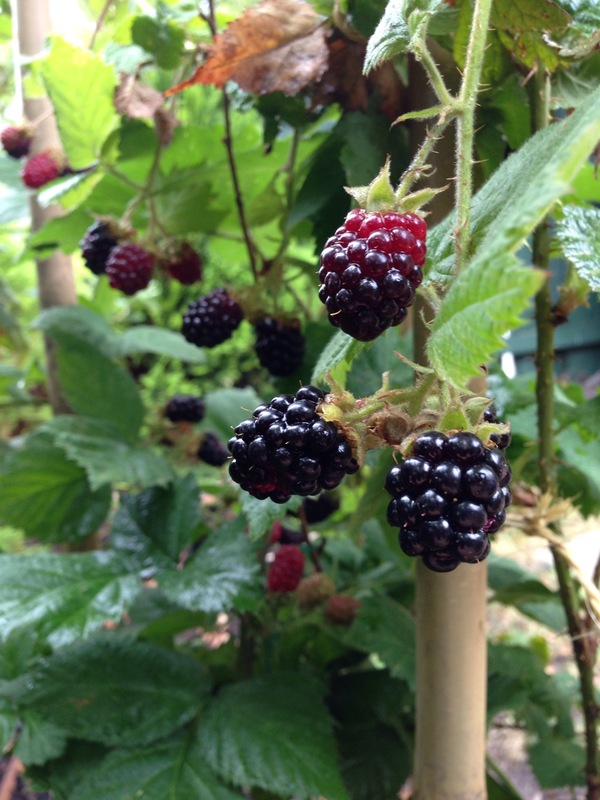 I have been told that these wont be as nice because the good flavoured, musky blackberries will grow only on next year’s mature canes that have grown from a mature plant……. if that makes sense. 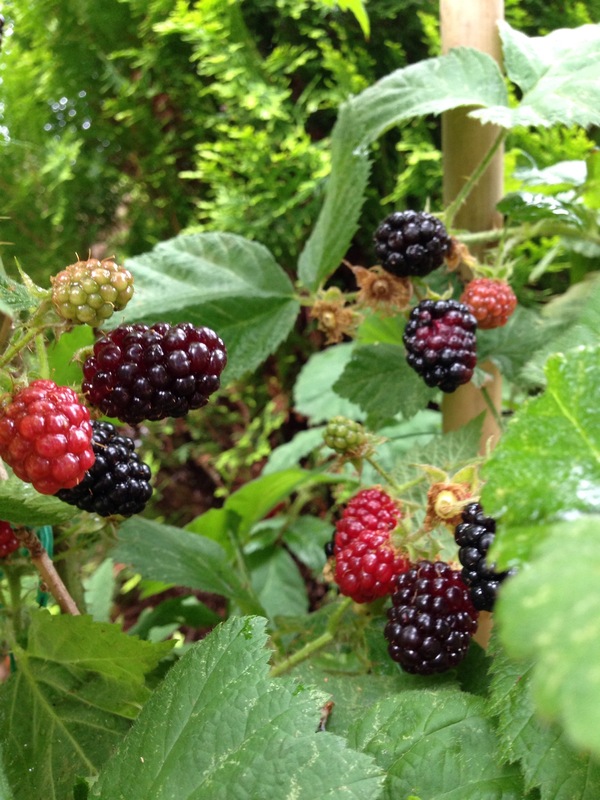 If you want to plant blackberries too, be mindful that they all don’t ripen at once. You’ll get at least one ripe berry a day when they start to ripen, sometimes more. So don’t think that if you if you have one plant you will get to harvest a nice big punnet of juicy blackberries – not going to happen! You’ll probably need at least 10 plants to get a punnets worth every day. I have one plant at the moment – but every day after work I am able to pick a few and eat there there and then before I get in the house – Joy! Do I recommend planting them? You bet I do! Thee are so low maintenance – all I have ever done is give them a good watering. Now that the plant is older, I will start to fertilize more so hopefully my berry harvest will multiply significantly next season.